These are confusing times for the international democracy-promoting industry which I study, but they’re exciting times for democracy as a whole. And thank goodness for that: they spell the end of simplistic attempts to export political institutions and the beginning of a more pluralistic dialogue about the biggest question of our times—how to ‘get the politics right’ in favouring the deep-rooted transformation of society. That’s a question that no country has answered successfully, requiring as it does a constant challenge to elite control; new forms of engagement between representative and participatory democratic structures; deeper-level coalition building across different interests; and balancing individual rights with communal obligations. 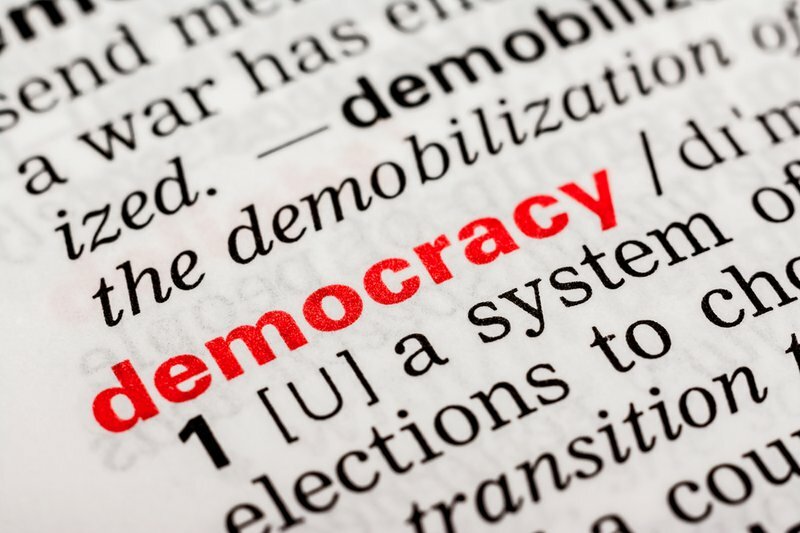 Debates about the definition of democracy and what’s needed to make it function as an engine of social change are heating up for at least three reasons. First, Western liberal democracies are bedevilled by problems, including a complete failure to combat inequality and corruption. Second, liberal political institutions have not settled easily in many non-Western contexts. And third, rising powers like Brazil, India and Turkey want to contribute new political ideas on the back of their economic success. However, the fulcrum of all these debates is the same for every country: fundamental social, political and economic transformations require a renewal and reinvigoration of democratic practices worldwide. Democratic innovations taking place outside the West can help with such a renewal—for example, in finding different ways to negotiate individual and collective rights, and pursue economic justice. And crucially, they can help to mould these democratic processes to local conditions. It’s important not to be too romantic. Talk of ‘non-Western democracy’ can easily be a cover for authoritarian double-speak, an affront to any progressive notion of justice and of rights. When presidents Putin in Russia, Nazerbayev in Kazakhstan, Museveni in Uganda, Kagame in Rwanda, and Erdogan in Turkey talk about indigenous forms of democracy, it’s clear that they don’t have egalitarian, citizen-oriented pluralistic politics in mind. However, the pressure for greater variation and experimentation in democratic practices is genuine, and it needs to be embraced—not just by Western organizations that spend billions of dollars every year in promoting democracy but by Western democracies themselves in opening up to ideas from non-Western settings. Democracy’s future will be bleak if the Western powers don’t accept that they’ve lost their monopoly on defining successful democratic institutions. In fact this is already happening, in at least three areas. First, by looking beyond civil society bodies that look like replicas of Western style, professional advocacy NGOs in promoting transparency, accountability and citizen engagement. Western democracy programs often get a bad name because local citizens see them as vehicles for backing pro-Western opposition forces. More broadly, donors have helped to create NGOs that seem more in tune with their international sponsors than with their own societies. But many non-Western countries are showing signs of a newly-vibrant civic politics, organized in ways that are not centered on NGOs but on more loosely structured social movements in participatory forms of democracy where active citizenship is crucial—not just structured or formal, representative democratic institutions. Bolivia is a good example. Many Western governments were skeptical about President Evo Morales’ political project, fearing that he would prove to be just as authoritarian as Hugo Chavez in Venezuela. But some Western donors (including Germany and the European Union) have already increased their support to indigenous social movements in Bolivia because they’ve become a vital channel of influence and accountability between government and society. Secondly, it’s clear that the political dimensions of democracy will be undermined if economic conditions and inequalities are getting worse, so democracy promotion efforts need to be delinked from pressures to adopt neo-liberal economic policies. Western interests need to do more to prove that they are not supporting democracy primarily as a means to further their economic interest in ‘free markets.’ That’s why the European Union is supporting a growing number of projects designed to build up social insurance schemes during the early phases of democratic transitions. European diplomats, at least, say that they see themselves as supporters of social and economic democracy. Donors are becoming more willing to support the role of labor unions in pro-democracy coalition-building; and to protect labor standards as a crucial part of political transitions in countries as diverse as Tunisia, Georgia, China, Egypt and Ecuador. But they should do more to assess how the embedded structures of economic power can undermine the quality of democratic processes. Support for civil society organizations that are keen on exploring heterodox economic models should also be stepped up. Thirdly, non-Western structures and traditions can help to reduce violent conflict successfully. Tribal chiefs, traditional decision-making circles and customary dispute resolution mechanisms are commonplace in Africa and Asia, and have much to teach their counterparts in the West. In Afghanistan, for example, international organizations realized that the standard institutions of Western liberal democracy were gaining little traction, and were probably deepening rather than healing pre-existing divisions, so they’ve started to support local-level deliberative forums instead. Something similar is happening in the Balkans, where the United States and the European Union are giving priority to locally tailored, consensual power-sharing arrangements. The United Nations is working with customary justice systems in Somalia. And in South Sudan and Kenya, donors have worked with tribal chiefs and supported traditional authorities to promote a better understanding of human rights and gender justice issues. These forms of power-sharing and ‘consensual communitarianism’ can be quite effective in protecting minorities while also encouraging dialogue and deliberation. As these brief examples show, different countries can both offer and receive ideas about democratic transformation regardless of geography, though this is never straightforward. It involves finding a balance between defending genuinely-universal norms on the one hand, and encouraging democratic experimentation on the other. This is a thin line to walk, and it requires, for example, recognition that the basic precepts of liberal democracy are not synonymous with what can be seen as an amoral individualism, particularly in highly religious communities. Pro-democracy reformers and civic groups in non-Western countries often take international organizations to task for pushing too hard on questions of ‘Western liberal rights’ rather than supporting variations to the standard, individualist template, even where tribal structures and traditional conflict-resolution mechanisms work reasonably well. This has led to resistance against international support in places as diverse as Libya, Mali and Pakistan. Conversely, self-styled liberals have also criticized democracy-promoting organizations for veering too far in the direction of traditional values and models, diluting their backing for core human rights in the process. In the Middle East, for example, secular liberals—including many in the social movements that rose up against Hosni Mubarak in 2011—complain that Western donors have become naively wedded to projects with moderate Islamists that are designed to fashion a supposed Islamist democracy. Academic critical theorists argue that Western democracy promoters fail to take alternative models of democracy on board because they would endanger their own geostrategic and economic interests. As liberal democracy loses any claim it might have had to universal appeal, it’s best for the West to leave the rest of the world alone, so these voices say, since any attempt to support democracy from outside a particular country will push that society away from deciding on, developing, and struggling for its own democratic pathways. A more positive approach is to recognize that democratic renewal is urgently needed within and beyond the West, and that all societies can learn from one another in the process. In the future, it’s likely that citizens will demand more opportunities to move away from standard templates of democracy without throwing anything away completely, so cross-border exchanges will be essential. As that process evolves, countries like Brazil, Chile, India, Indonesia, Japan, Nigeria, South Africa, South Korea and Turkey will have as much influence over the development of democracy across the globe as anyone in the West. And as the pathways of influence over democracy’s evolution continue to shift, new ideas will emerge about the politics of social transformation. Let’s hope both the West and the non-West are ready and willing to listen, learn and put them into practice. Quotations in this article are taken from interviews carried under conditions of anonymity.